The runner-up, L’Oreal Eyelash serum, although that it has to be applied just like the mascara with the spatula it gives great effects when it comes to lash length and nourishment. This eyelash serum does not make lashes thicker or darker but it improves their condition so lesser of them fall out when you remove the make-up. 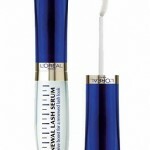 The L’Oreal Serum formula is in form of a gel and it has a long spatula distributes the serum on lashes. 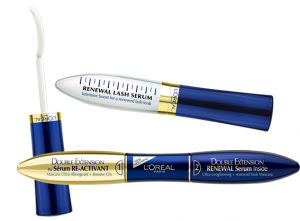 L’Oreal dose not instruct its customers how to use it so we do not really know if there is any better way of application that could increase the serum’s potential. L’Oreal lash enhancer can be purchased in any drug store at the L’Oreal counter. There are a few drawbacks to this products however. It happens that tis eyelash serum clogs the lashes together and due to this fact, it cannot be used before applying the mascara. 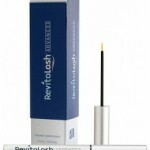 The best time to use the eyelash serum is at night when getting ready for the bed. Even then, during night we can feel that lashes have glued together and it may be difficult to open the eye.